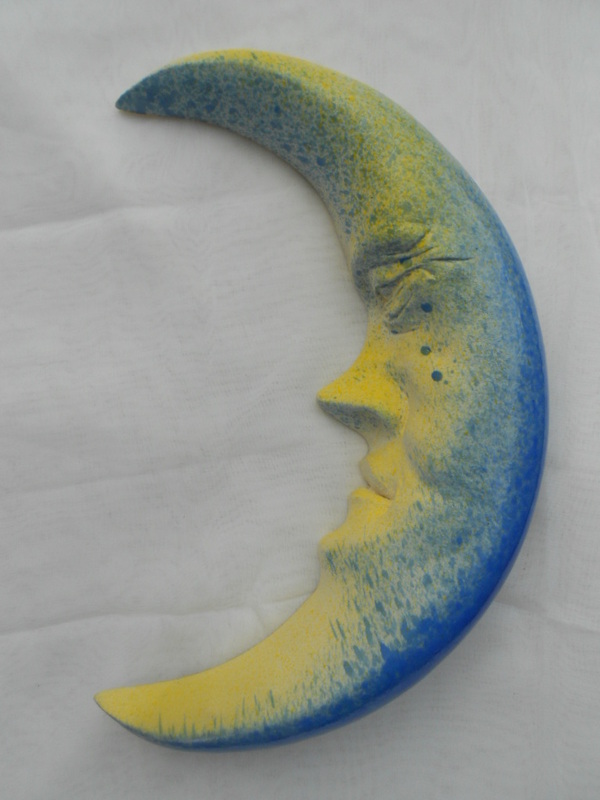 Time for a Sunday afternoon Moon Dump. 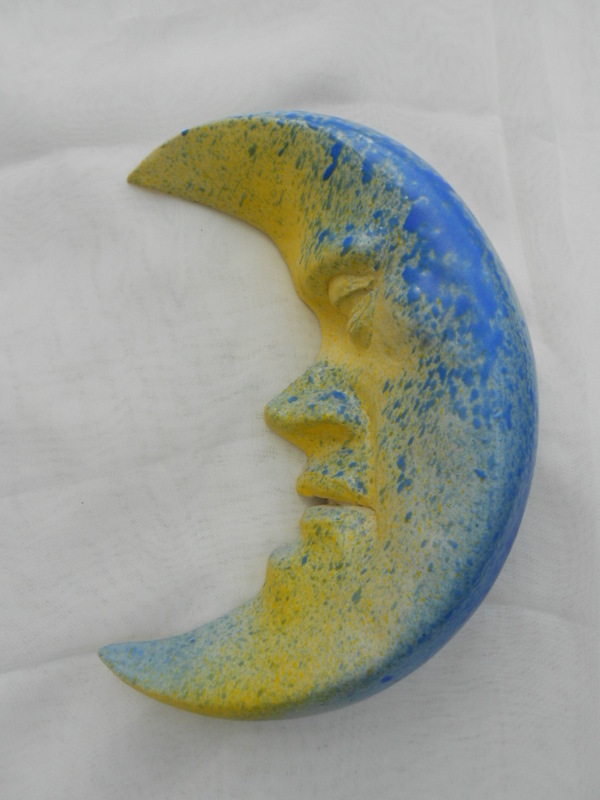 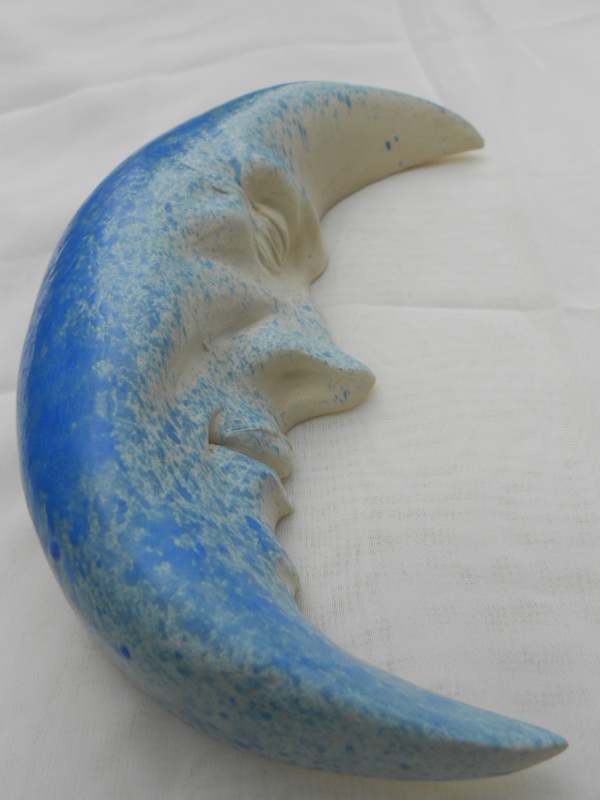 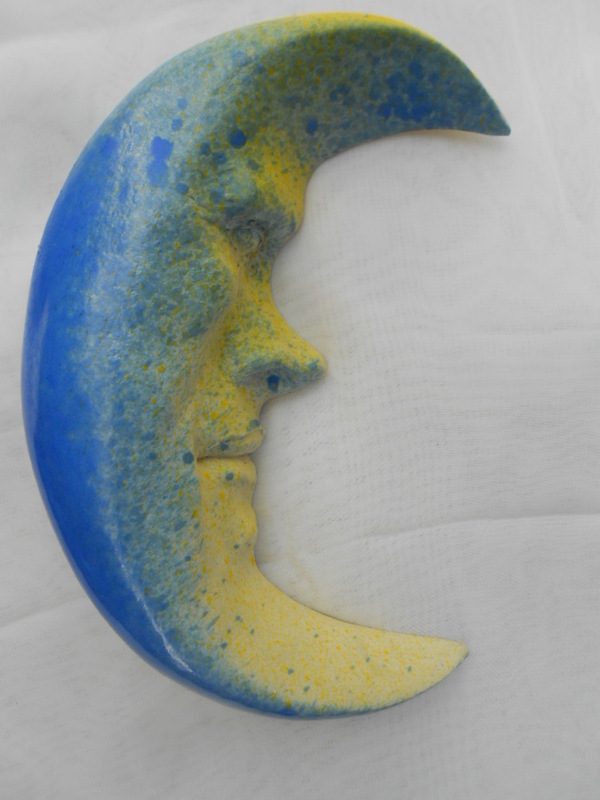 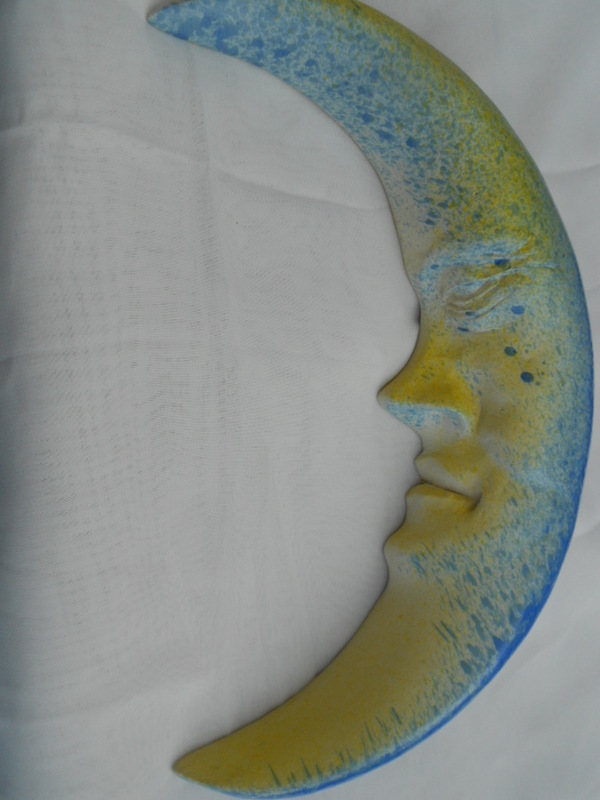 I just got this series of crescent moons back from the kiln. 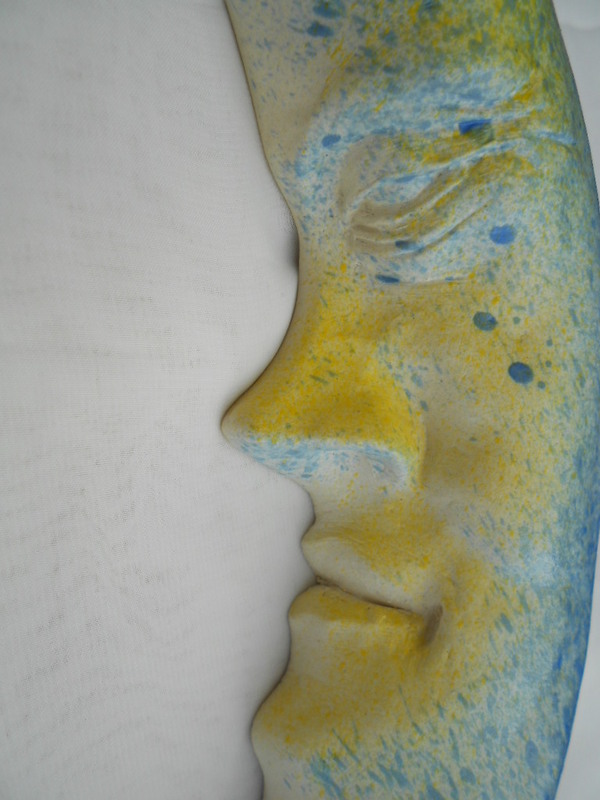 I used an angled-spray technique with the colored glass to try to create a shadow effect. 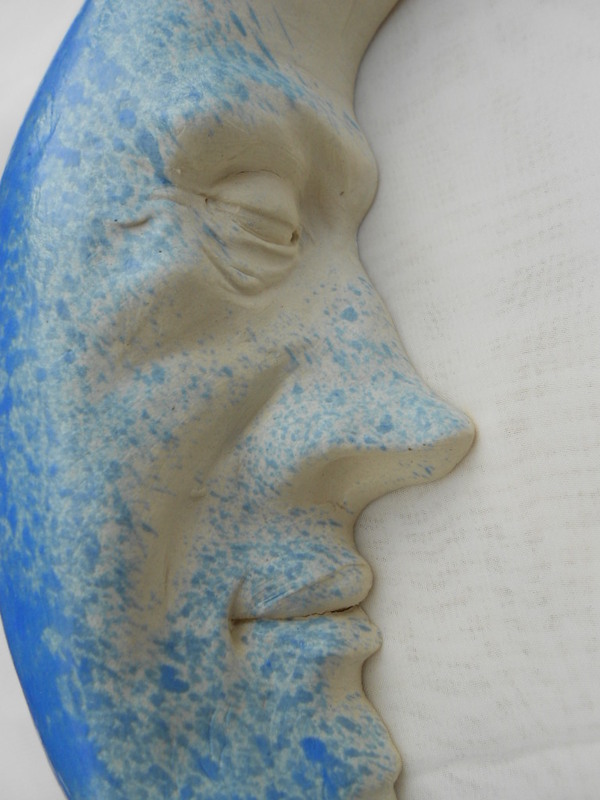 I’m already thinking of how to refine the tech.